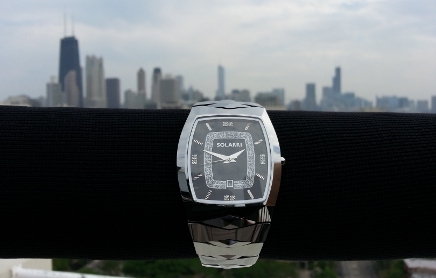 Solid Tungsten Carbide is more than a scratch-proof metal. 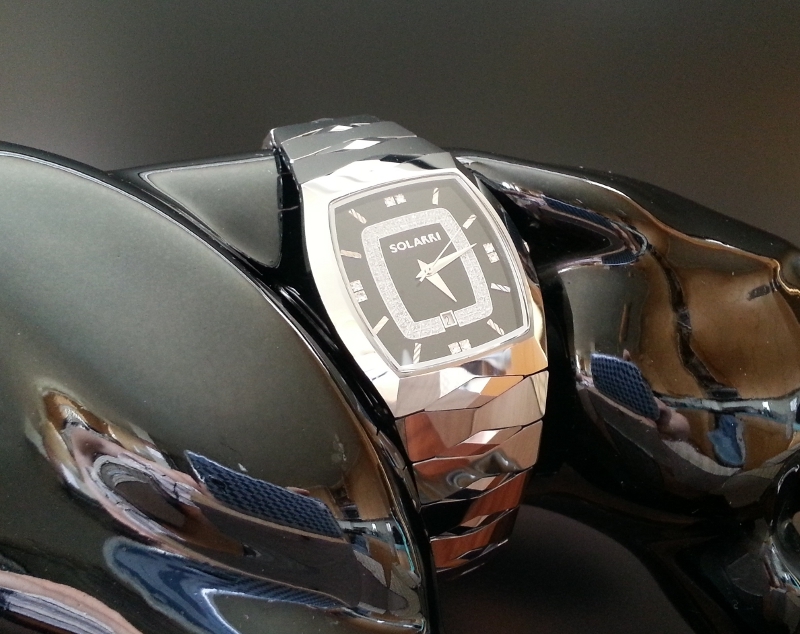 Our Hadron model displays Tungsten’s incredible luster which our videos can only barely capture. This modern watch will hypnotize anyone who even glances. The name “Hadron” comes from the sub-atomic particle. Discovering the secrets of the universe by using incredible amounts of energy to break open the hadron is the goal of CERN’s famous “Large Hadron Collider” (LHC). 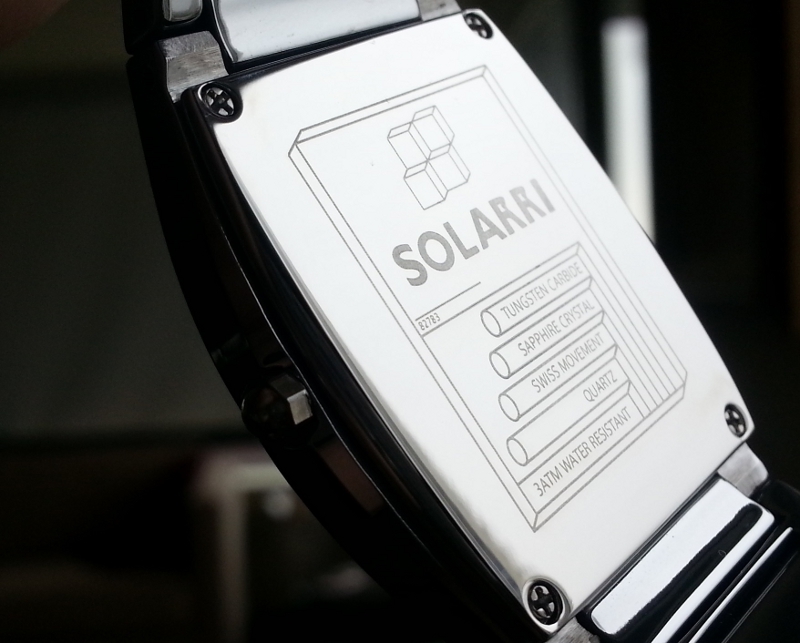 The SOLARRI Refactor’s Sapphire lens is cut into a 12-angle prism. When looking straight-on, it appears normal. But when angled more and more, light is captured and dances on the face like a kaleidoscope. This perfectly complements the watch’s tungsten carbide-induced presence. Tungsten Carbide is the hardest material next to diamond. It cannot be scratched except with a diamond. 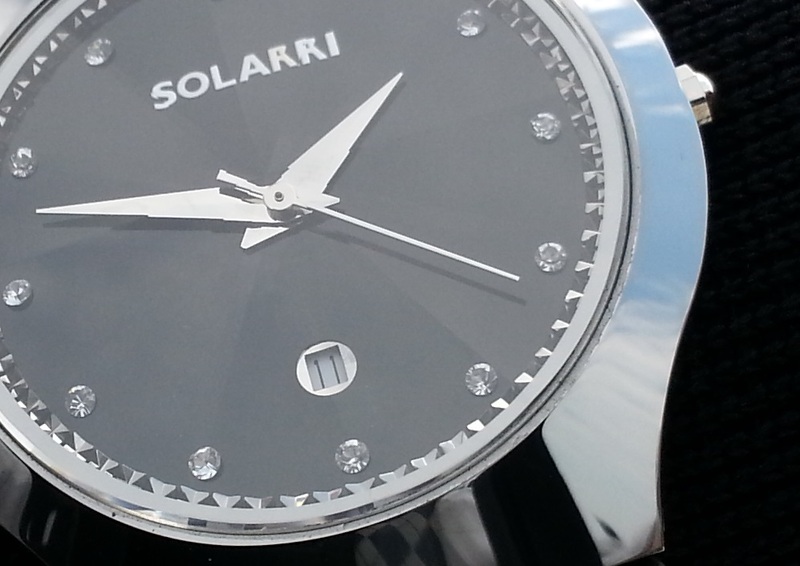 SOLARRI tungsten carbide watches are hand polished with diamond dust to a microscopically smooth, astonishing, and everlasting mirror shine. This shine is so astonishing due to the interplay of reflected and refracted light, that only seeing one in person can do it any justice. 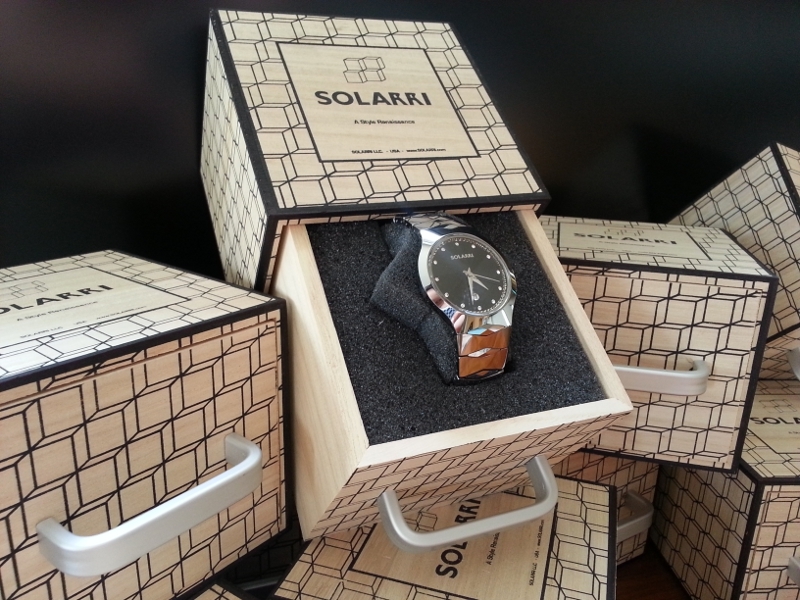 SOLARRI’s tungsten watches also display the natural 5% tint of Titanium color- characteristic of the carbon when mixed with tungsten. 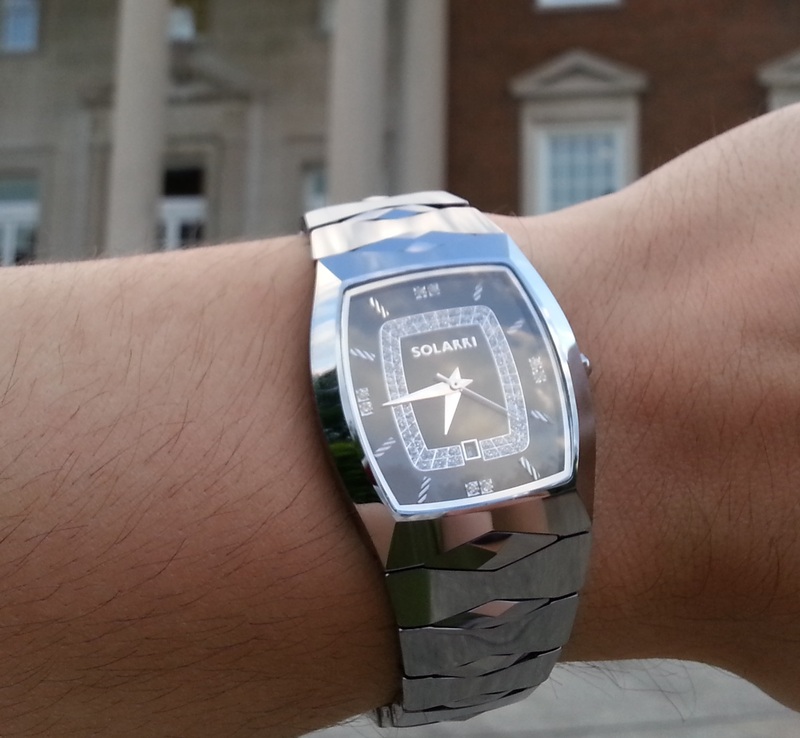 At a 5,200° melting point, SOLARRI tungsten carbide watches necessitate a proprietary method of manufacture. Due to the incredible and laborious processes necessary to properly create such a watch, others can only poorly imitate the look. 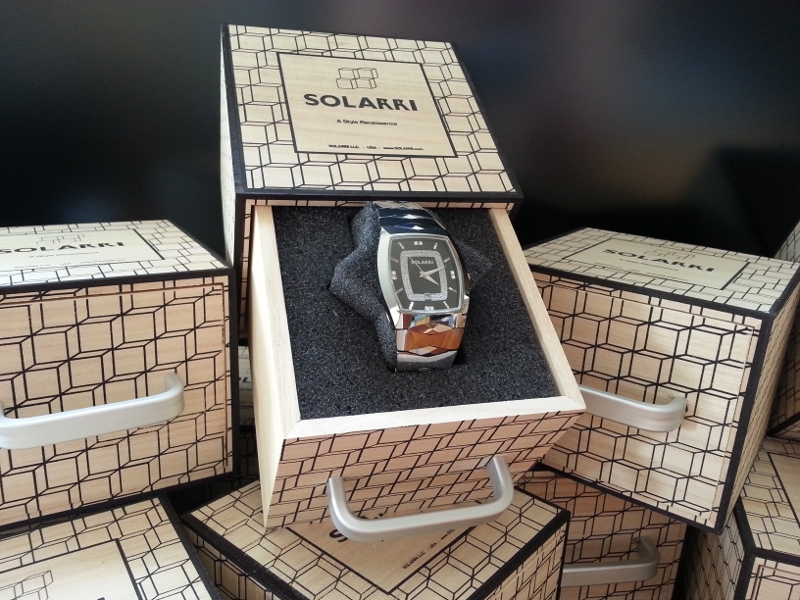 SOLARRI’s new line of genuine tungsten carbide watches are at the absolute forefront of watch design, quality and durability. 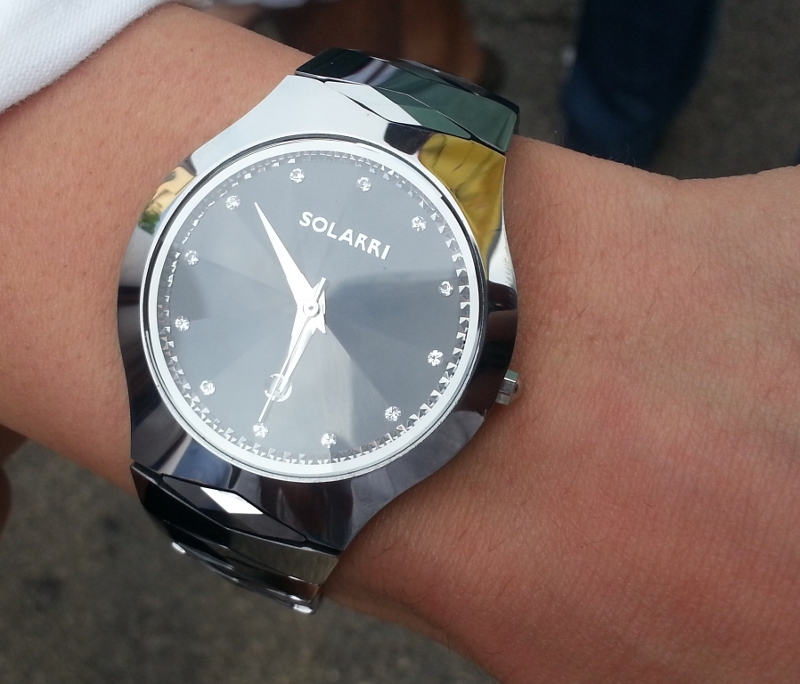 SOLARRI watches embody ultra modern flare with homage to classic roots. 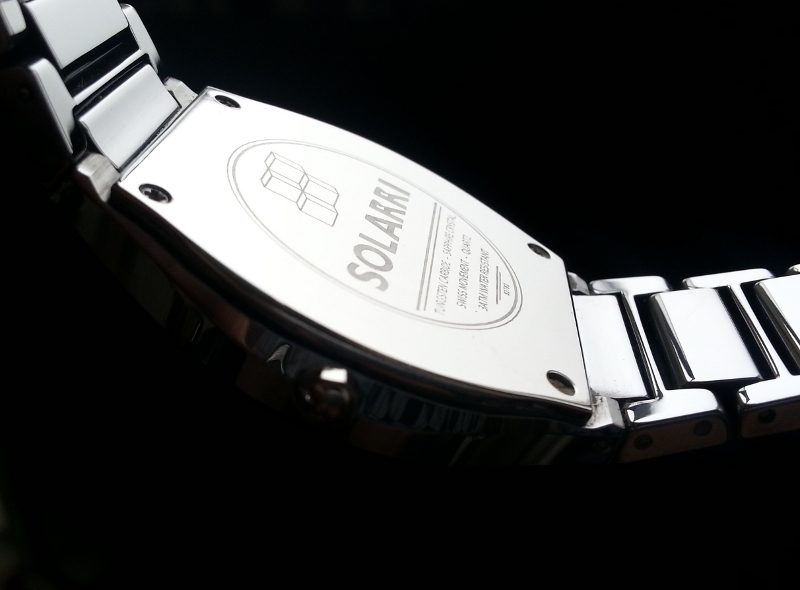 Add in a genuine Swiss movement, and the ideal watch is conjured. 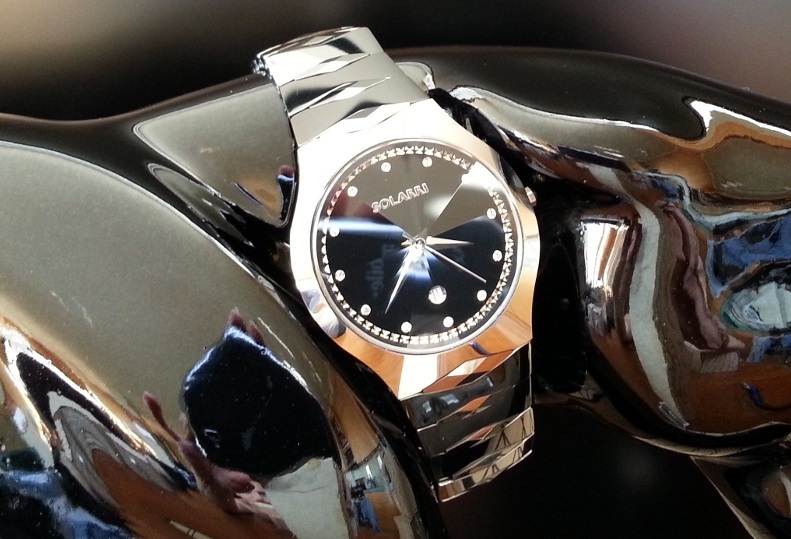 You must watch our videos to capture some essence of our Tungsten watches. Only holding one is better. left for the 30% OFF SALE!